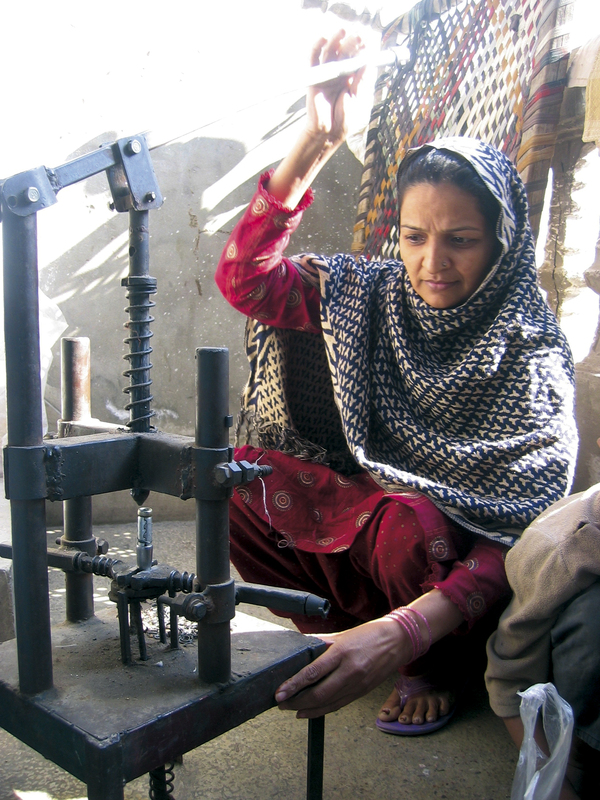 In 2012, women comprised one-third of the First MicroFinanceBank Pakistan's active borrowers. First MicroFinance Bank (FMFB) Pakistan's social performance research analyst conducts an information disclosure session. The First MicroFinanceBank Ltd Pakistan was one of the earliest AKAM affiliates to be established in 2002. Since then, it has provided over $600 million in loans to more than 2.6 million customers, becoming a strong player in the country’s microfinance industry and ranking among the top five providers. Currently, over a third of the Bank’s clients are female and two thirds of the borrowers reside in rural areas. Pakistan is a lower middle-income country, with a GDP of $284 billion in 2016. Located at the crossroads of South Asia, Central Asia, China and the Middle East, it is at the centre of a regional market, and, with a population of 193 million inhabitants and large and diverse resources, is an untapped potential for trade. Pakistan’s growing working-age population requires the government to provide adequate services and increase employment, and coupled with economic, governance and security challenges, as well as its susceptibility to natural disasters, economic growth continues to be struggle. FMFB’s ability to strengthen clients’ entrepreneurial base and build financial, physical and human capital to secure their future is well recognised, most recently by the 9th Micro-entrepreneurship Awards organised by Citi Foundation and PPAF (2015) which honoured four of FMFB-Pakistan’s clients with national and regional awards. The Bank’s strength as a corporate entity is also acknowledged. It carries a credit rating of A/A-1 with a positive outlook, according to ratings agency JCR-VIS. It has also received multiple awards, such as approved employer accreditation by the Association of Chartered Certified Accountants (2015), and the MF Transparency Seal of Pricing Transparency (2014). 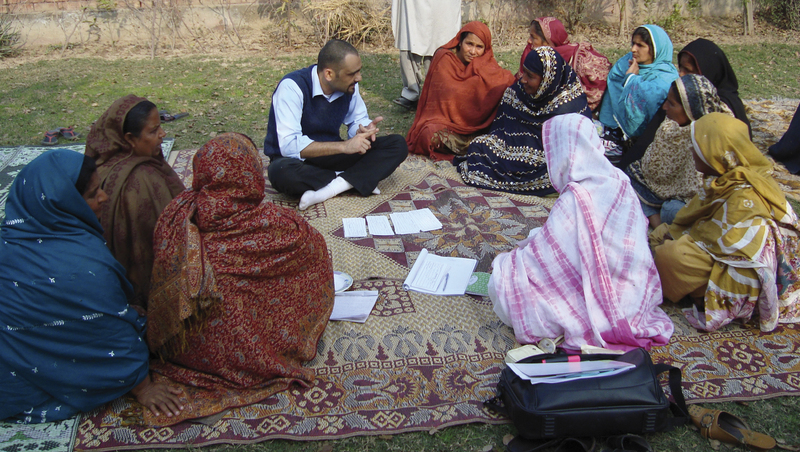 FMFB-Pakistan offers targeted financial and multi-sectoral products and services based on the evolving needs of its clients, including a wide range of flexible loan products to serve the diverse financial needs of the poor in the rural, urban and peri-urban areas in Pakistan, especially women. Further ensuring the needs of its customers, the Bank also offers microinsurance with credit and saving services to provide protection against life, health and asset related liabilities. With its traditional focus on vulnerable populations, FMFB-Pakistan has sought to ensure a wide outreach and is the first private sector entity that is represented in all of Pakistan’s provinces. In addition to its network of 175 branches and outlets, it has introduced branchless banking to Pakistan’s remote and poor areas, in cooperation with the Pakistan Post. These efforts provide a strong and diverse asset base to ensure the financial and operational sustainability of the Bank. To further tap a greater market share while ensuring that the financial needs of the vulnerable are met adequately, the Bank is in the process of upgrading its technological infrastructure and acquiring a state of the art core banking system. With the new system in place, the Bank will be geared to offer real-time financial services and begin digital financial services. Building on its core areas of product development and research, in the coming years the Bank will continue to tailor its products according to the needs of the target populations and offer innovative credit products as well as savings, insurance and payments services to bring a larger segment of the population into the formal financial system.